Three months ago I spent an evening with a dozen Christian friends in a home near Knoxville, Tennessee for dinner and conversation. We spent part of the time talking about the plight of the two-thousand-year-old Christian communities in Iraq and Syria that have been deliberately devastated by the so-called Islamic State (ISIS militants), who are trying to eradicate the presence of Christians and other religious groups who do not submit to them. As we talked about the staggering changes of life that have been forced on literally millions of families – many our Christian brothers and sisters – we realized we should help them. But then we got stuck. While trying to think of practical ways to reach out to them we were overwhelmed by a great sense of helplessness. “I even feel helpless in my prayers for them,” one guy admitted. That got to me, and for weeks afterward I talked with others about what NPR has called “the biggest humanitarian crisis of our era.” But everyone was at a loss about how to help these distressed brothers and sisters in Christ. We were here. They were there. And there was no bridge that we knew of. But now there is. Quietly and behind the scenes, the Cradle of Christianity Fund, a truly remarkable initiative, has been created to rescue and restore displaced and endangered Christian communities in the Middle East and to provide support for members of other affected communities as well. Here’s the amazing story, in brief. Several weeks ago I got an email from Chris Seiple, an old friend and the president of the Institute for Global Engagement. About the same time I was having that dinner conversation in Knoxville, Chris got a call from reality-TV producer Mark Burnett and Roma Downey, his actress wife (in 2013 they produced the highly-rated miniseries “The Bible” for the History Channel). Both are Christians with a heart for Christians in the Middle East and they wanted to work with IGE to think through and set up a multi-dimensional strategy to raise an initial $25 million to provide both immediate and longer-term practical care for displaced Christian families and other religious minorities who had been forced to flee Iraq and Syria. Chris, who has made many trips to the Middle East, wrote that Mark and Roma are very much aware of how complex the region and its issues are, and they agreed to partner with IGE on the Cradle Fund to act in a manner that: 1) honors God, 2) is multi-faith/non-proselytizing, and 3) at the invitation of regional leaders. The couple have given $1 million to kick start the Fund. 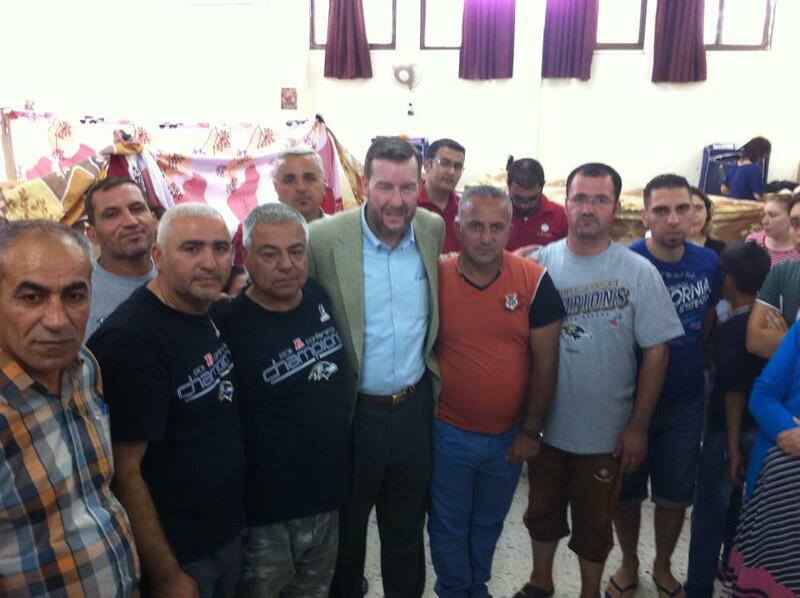 Chris traveled to Iraq and Jordan with Johnnie Moore, Mark and Roma’s chief of staff. Here’s a letter from Chris with a report from Johnnie of their trip here, including their formal meeting with Patriarchs of the Eastern Church and Jordan’s King Abdullah II. The king has been outspoken on the need to help the Christians and has established programs for doing that for thousands of Christian families who have fled to Jordan. One of the things that I have greatly admired about IGE over the years is that it is very relationally oriented. Its biblical model of “relational diplomacy,” which squares with a norm of The Wisdom Project, has led, for instance, to tremendous breakthroughs on issues of religious freedom in areas of the world where other paradigms have failed. I mention this because IGE, which is administrating the Cradle Fund, has a lot of street cred in the region. It is working with its many well-established contacts with Middle East churches to get aid directly to tens of thousands of displaced Christians. Donations and provisions are going through the regional churches and other local and international partners directly to those who need it most. I’ll wear my heart on my sleeve, now, to ask for your support for the Cradle Fund. The Institute for Global Engagement is a highly respected Christian “think and do” tank (as they like to be known) based in Washington DC. I have known Chris and his father, Bob, the founder of IGE and a former US ambassador, since its earliest years. For find out about the different ways you can support the Cradle Fund, click here. And do let others others know, perhaps by just forwarding this post to them. Thank you. For more information: Here are some FAQs about the Cradle Fund. Also Chris provides personal updates from the region, including photos, on the IGE website, Facebook, and Twitter. Coverage of the Fund is also found at Christianity Today, CBN, and MPAC and Fox News. Above photographs courtesy of the Institute for Global Engagement. Use of these photos does not suggest endorsement. 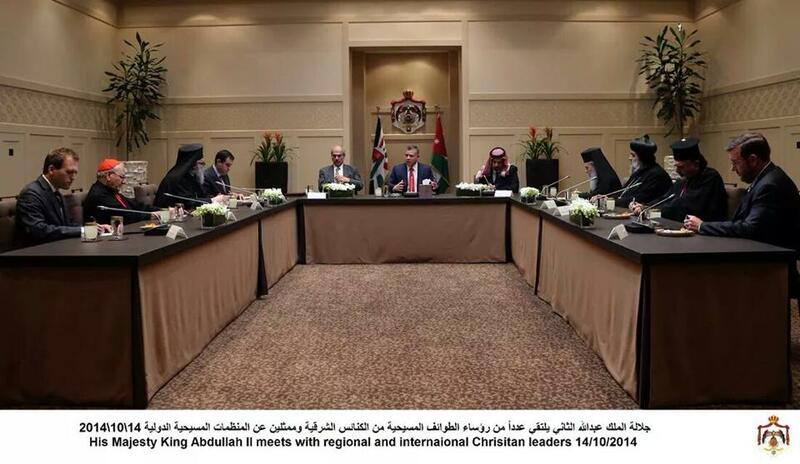 Top photo: Chris Seiple (far right) & Johnnie Moore (far left) at a formal meeting with Patriarchs of the Eastern Church and Jordan’s King Abdullah II. 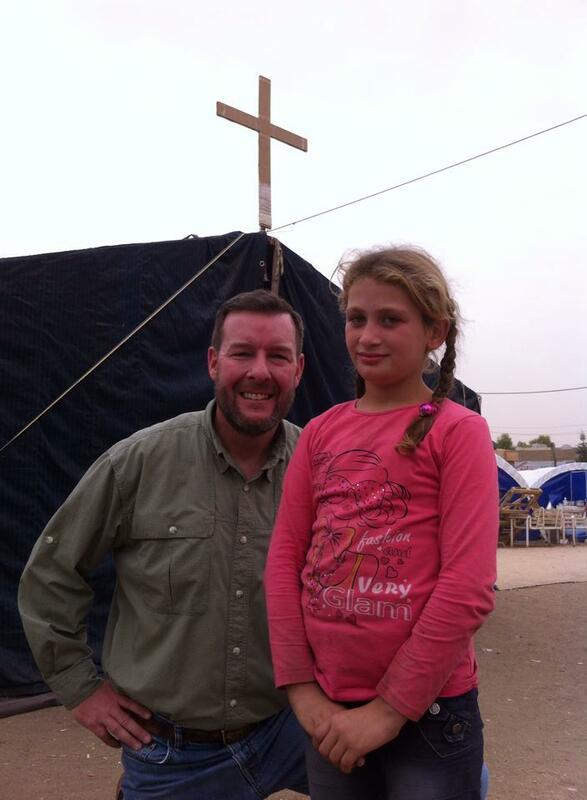 Other photos: some of the displaced Christians Seiple met on his recent trips to Iraq. This entry was posted in CRADLE OF CHRISTIANITY, SPECIAL PROJECTS, WISDOM & COMMON GOOD and tagged Chris Seiple. Institute for Global Engagement, Cradle of Christianity Fund, Iraq, Jordan, King Abdullah II, Mark Burnett, Middle East, Roma Downey, Syria by Charles Strohmer (c) 2014. Bookmark the permalink.